So, i Tried The Crew. From my Point of view, it's Awesome! It's feels a bit like Test Drive Unlimited 2, only with better graphic. I'm just playing it for a few 15 minutes and it wins my heart already. Some quick notes tough. First, in TDU2 the suspension is acting a bit weird if you go offroad, it feels like you hit a speedhumps all the time. In The crew, you got the feeling that you're driving on sand or a mud everytime you go offroad. And then, the steering is quite heavy, but i can understand that since i drove a lifted Ford Raptor across someone's backyard. It's a departure tough, that steering, since in TDU2 steering is lighter than The Crew. In TDU2 if you take a random SUV offroading and then decide to turn you'll easily pull a drift. Finally i can drive trough Water! You can't do this in TDU. And oh, i hate that framerate limit. Anyway, we should get our crew going. 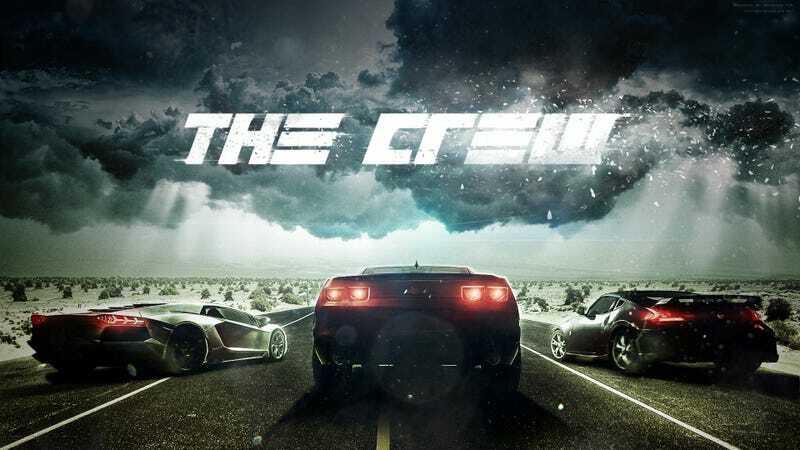 If you had access to the crew beta, post your id here and we can be friends!